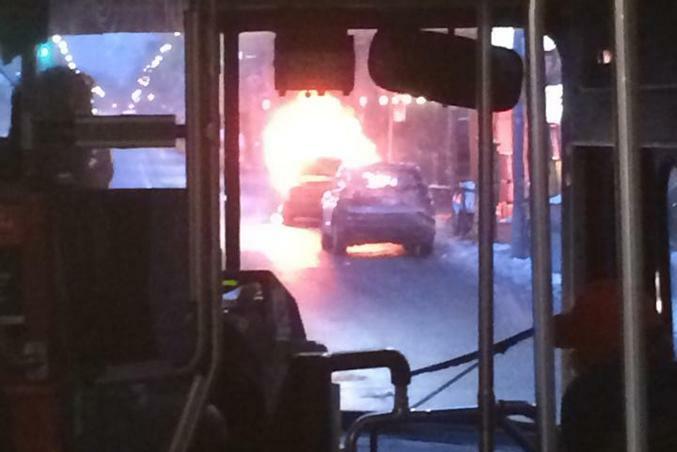 A black BMW car ignited in flames on Jarvis and Carlton streets on Jan. 31st. Toronto Fire rushed to the scene after receiving a call at 5:25 p.m. The vehicle exploded twice as Toronto Fire was trying to put out the flames. It took 10 minutes to fully extinguish the flames.